Bicarbonate 1kg. The ideal cleaning aid. With baking soda, hold the pipes clean, clean the toilet, remove the calcium deposits in the bathroom and do sink and teacups spotlessly clean. Take off the bad odor on your workout clothes, add a few tablespoons of baking soda when you wash and the bad odor will disappear.....and much, much more!!! Bicarbonate is a true cure-all substance, already used 5000 years ago. It is unlike other things we use in the home completely safe for children, pets and plants. 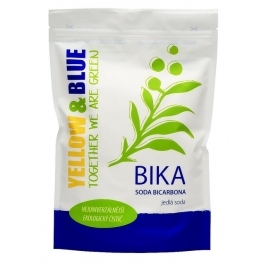 Bicarbonate is also used for baking, but Bika is recommended only for the household. Add a few tablespoons of detergent dispenser to remove odors. Freshen up the bed by powder baking soda over the entire mattress. Let be an hour and then vacuum up everything. Get a shiny sink by scrubbing it with a little baking soda and a damp cloth. Then pour over a mixture of hot water and a little vinegar, the drain will become clean too. Put a small bowl of baking soda in the back of the fridge to get rid of the bad smell. Stir occasionally the bowl with powder. When the powder does not absorb more odors can be used to clean the refrigerator and freezer. Have you had ants inside your house, then you can prevent them by sprinkling baking soda in which they enter. Freshen up shoes with a bad smell by dusting a little baking soda in them. Let stand overnight and vacuum the powder away. Old cans and plastic utensils with an oily film will be fine again with a little baking soda. If your crystal glass has lost its shine will be fine by rinsing them in water with baking soda and then allowed to dry. Rinse the glasses again before use. Reduce the dishwasher detergent and use half the dishwasher detergent and half bicarbonate. Saving both wallet and environment. A dirty coffee thermos becomes clean again by filling it with boiling water and a teaspoon bicarbonate. Add any little lemon juice. Let stand for a while before the thermos rinsed out. A limp coffee maker will be fine again by running through it with a liter of water and 0.75 dl bicarbonate. Clean the kettle by filling it with water and add two tablespoons of baking soda and juice from half a lemon. Boil the water several times and rinse well. Extend the life of dishcloths and sponges by putting them in a weak solution of lukewarm water and bicarbonate 10 minutes once a day. Squeeze out the water and let dry. Clean the microwave by boiling a cup of water and a couple of teaspoons of bicarbonate of maximum power a few minutes. Then just wipe the walls. 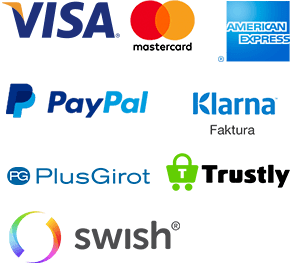 This is just a small part of all applications available! 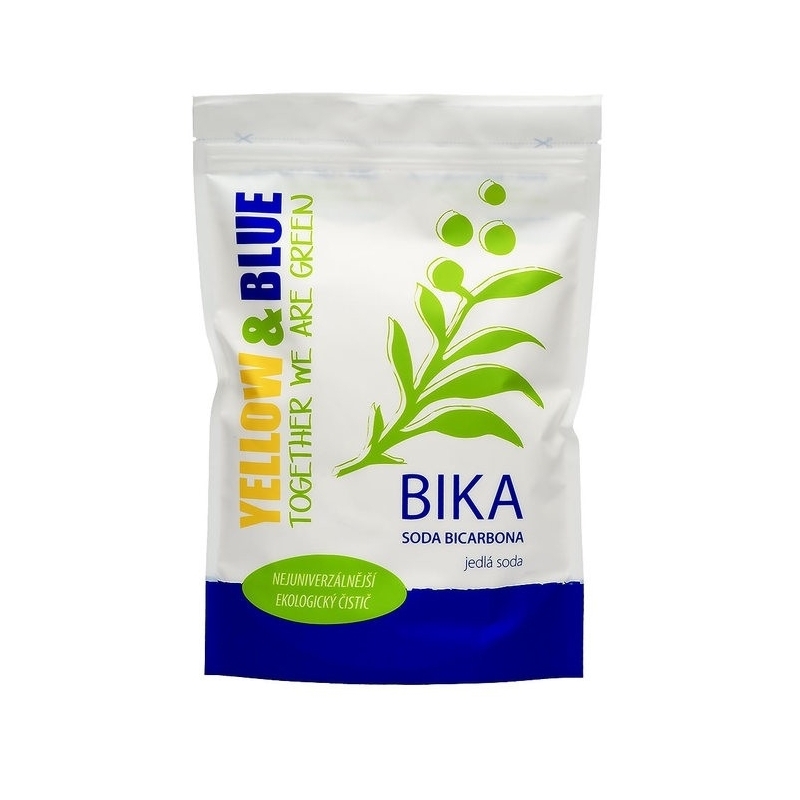 We recommend: Pour 1/2 cup Bika along with 1/2 cup Sanna's soap in a foot bath with hot water. Sit with your feet until they are soft enough to be filed. Dry your feet and lubricate them with a good foot cream. Stop your feet into a pair of socks, like wool, and be overnight. This is a 100% bicarbonate of soda, but it's not packaged for foods. Therefore, we can not recommend you use it internally.